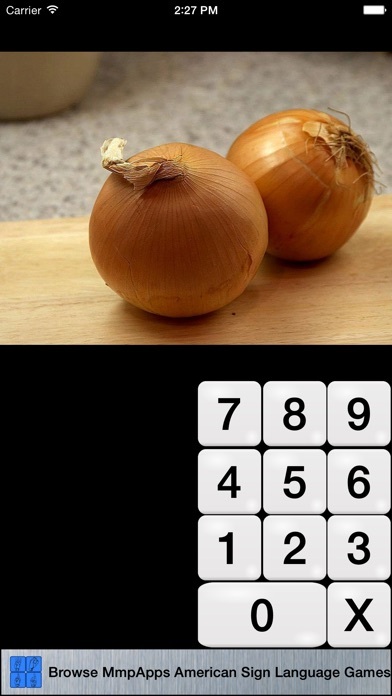 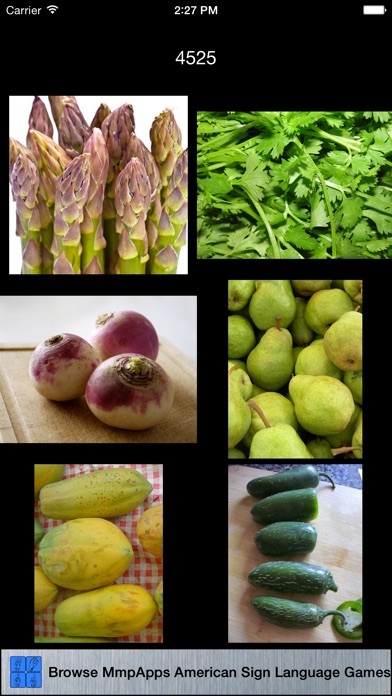 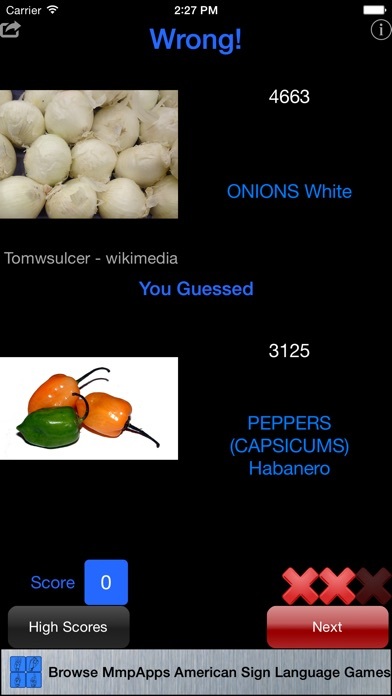 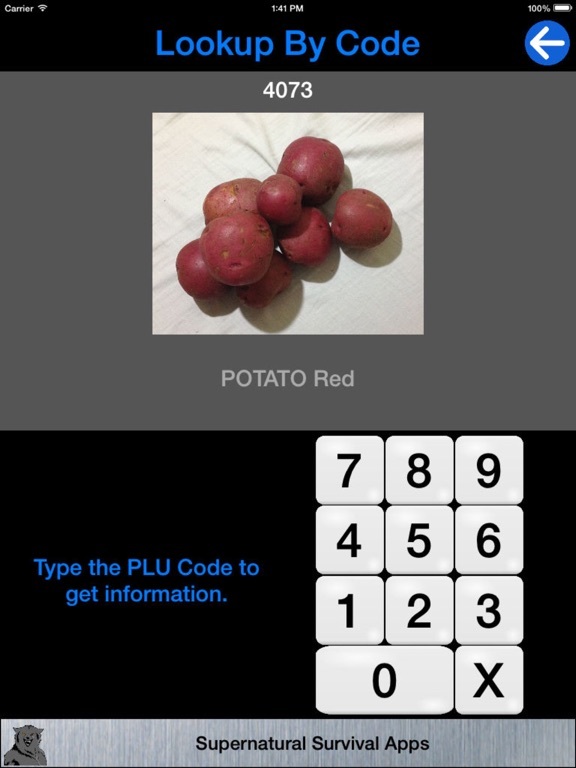 This app is both a reference and a learning tool for those who need know PLU codes for produce. 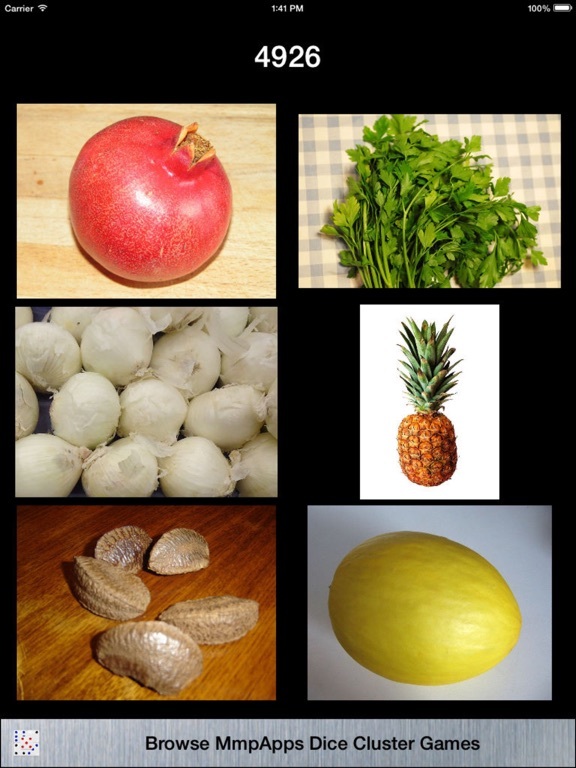 This includes checkout and manager staff at for supermarkets and grocery stores. 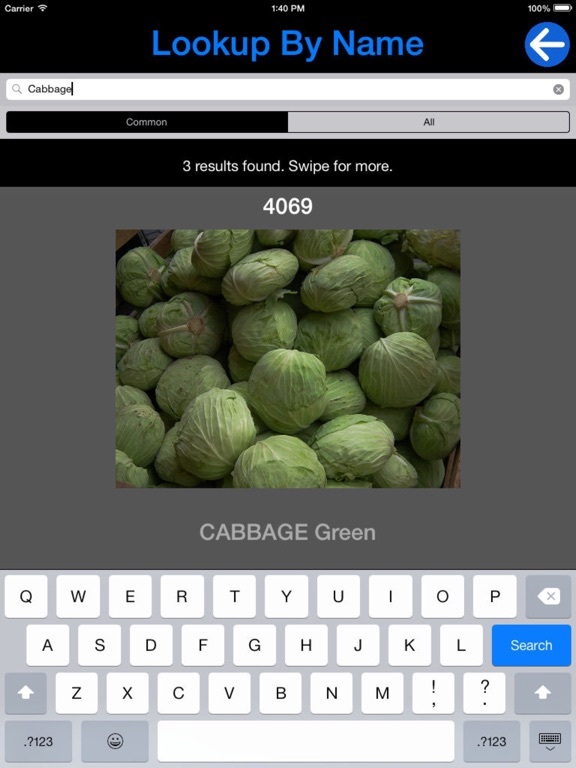 LOOKUP BY NAME - Type the name or partial name of a product and see all the matches. 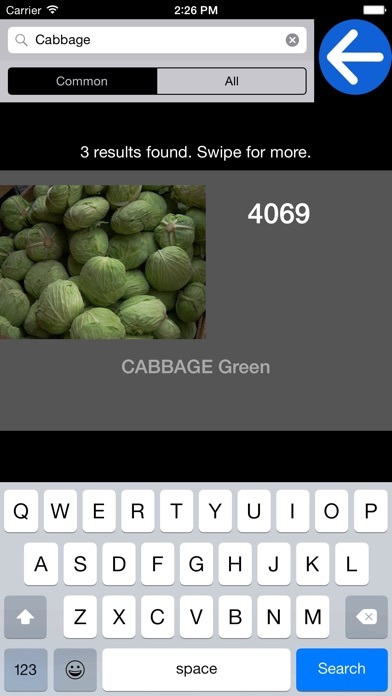 LOOKUP BY CODE - Type the PLU Code and get information on the associated product. 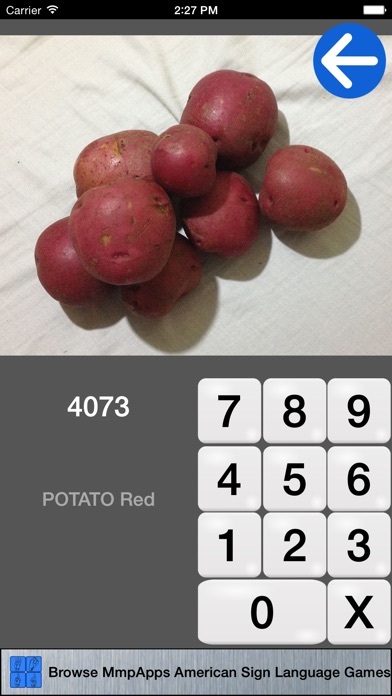 CODE QUIZ - Given a picture of a product type in the correct code. 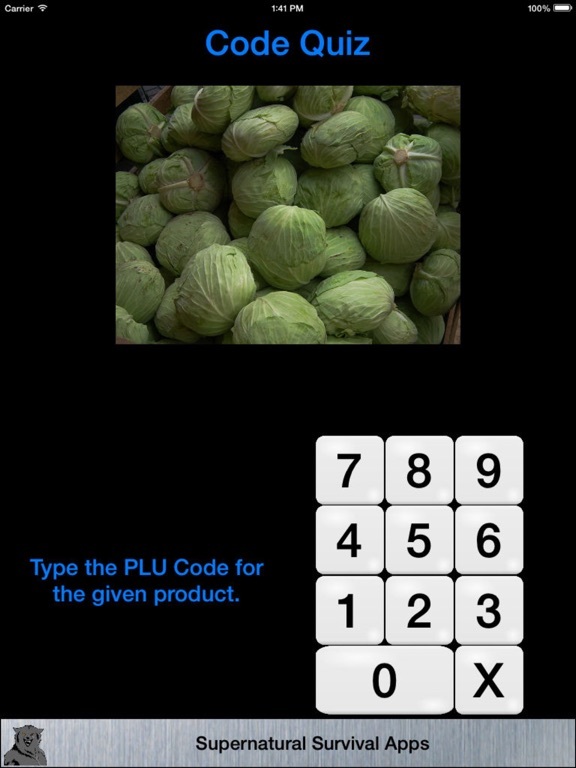 PICTURE QUIZ - Given a PLU Code and six pictures of products you must tap the product associated with the code. 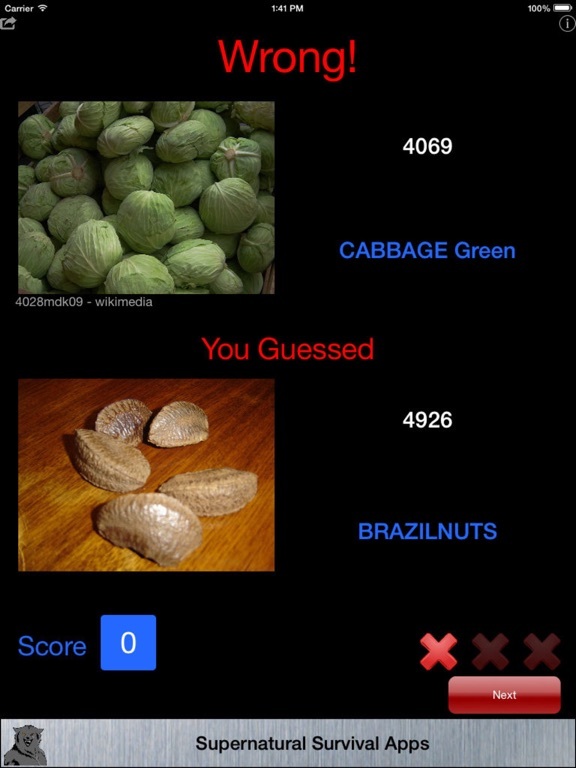 There are 1425 codes in the database but photographs and quizzes are restricted to the 100 most common.